This 3 Pcs Coffee Table Set includes Coffee Table and Two end Tables. Sofa Table also available but Not included in price. Tables Features Nature Slate Deco. Coffee Table Size: 48 x 24 x 20 In. (H). End Table Size: 24 x 24 x 24 In. (H). Sofa Table Size: 48 x 20 x 30 In. (H). Mahogany Finish Coffee Table With Carved Details And Fluted Legs. Size: 47In L x 23 1/2in W x 21 1/2In H. Also Available (Not Included In The Price) End Table Size: 23 1/2In L x 23 1/2In W x 12In H And Sofa Table Size: 47In L x 22In W x 29In H. Strong Construction. Cocktail Table Size, 48x32x19H. Optional (Not Included In The Price): End Table Size, 26x23H. Sofa Table Size, 50x18x29H. Easy To Assemble. Acme 8945. This Cocktail Coffee Table Set includes Two End Tables and Coffee Table. Sofa Table available but NOT included in price. Coffee Table Size: 48 x 24 x 16 In. (H). End Table Size: 22 X 21 X 20 In. (H) Sofa Table Size: 48 x 18 x 27 In. (H). Coffee Table Features Gently Flared Legs In Dark Brown And Extra Shelf To Place Addiotional Items. Also Available (Not Included In The Price) End Table And Sofa Table. Strong Construction. Easy To Assemble. Details: Coffee Table: 52 In. (L) x 32 In. (W) x 20 In. (H).. End Table: 28 1/2 In. (L) x 28 1/2 In. (W) x 26 In. (H).. And Sofa Table: 52 In. (L) x 20 In. (W) x 30 In. (H). Coffee Table In Dark Oak Finish. Mission Design Occasional Table. Dimensions: 50L. X 28W. X 16H.. Also Available (Not Included In The Price) End Table, Size: 24L. X 27W. X 22H. ; And Sofa Table, Size: 50L. X 16W. X 27H.. Easy To Assemble. 3-Pc Occasional Set In Distressed Oak Finish With metal Accents And Carvings. Includes Coffee Table and 2 End Tables. Details: Coffee Table: 52In L x 30In W x 21In H And End Table: 28In Dia. x 25In H. Also Available (Not Included In The Price) Matching Sofa Table - 48In L x 18In W x 30In H. Strong Construction. Occasional Tables Gives A Classic Feel Elegance. Features Coffee Table, End Table And Sofa Table. This Large Scale Occasional Group Features Carved Accents, Storage Drawers Accented By Antiqued Finished Drawer Pulls. This Is The Perfect Choice For Your Home. Strong Construction. Easy To Assemble. Details:Coffee Table: 50 In. (L) x 30 In. (W) x 20 In. (H)End Table: 26 In. (L) x 26 In. (W) x 25 In. (H)Sofa Table: 50 In. (L) x 19 In. (W) x 30 In. (H). 3 Pcs Oval Coffee Set with End Tables. Available Colors are Cherry and Oak Finish. Real Marble Top Available in Red (Shown) or White. Strong Construction. 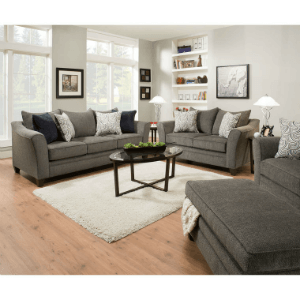 Easy to Assemble.8290CH/8291CH (ITM) Coffee Table: 48 In. (W). x 30 In. (D). x 20 In. (H). End Tables: 26 In. (W). x 20 In. (D). 22.5 In. (H). Solid Wood Wicker Brown Coffee Table With Glass Insert. Dimensions: 50L. X 28W. X 17-1/2H.. Also Available (Not Included In The Price) End Table, Size: 26L. X 24W. X 21H. ; And Sofa Table, Size: 50L. X 18W. X 28H.. Easy To Assemble. Wooden 3-Piece Coffee And 2 End Table Set. Availble in Coffee Bean Finish and Light Cherry. Solid Construction. Easy to assemble. Each piece can be purchased separately.Coffee Table Size: 36 Wide x 20 Deep x 15 High.End Table Size: 18 Wide x 18 Deep x 19 High. This 3 Pcs Pumpkin Table Set Includes Two End Tables and Coffee Table. Sofa Table Also available but NOT included in price. Coffee Table Size: 48 x 26 x 18 In. (H). End Table Size: 24 x 22 x 22 In. (H). Sofa Table Size: 48 x 18 x 29-3/4 In. (H). Brown Finish Occasional Tables With Slate Inserts. Beautiful And Unique Design. The Perfect Choice For Your Living Room. Details: Coffee Table Size: 50In L x 30In W x 19In H, End Table Size: 28In L x 23In W x 24In H And Sofa Table Size: 50In L x 20In W x 36 3/4In H. Strong Construction. 3-Pc Coffee/End Table Set. This Set Is Beautiful And Perfect For Your Home. Strong Construction. Easy To Assemble. Details:Coffee Table: 42 In. x 22 In.End Table: 22 In. x 18 In. This Set is available but sold seprately, Set includes Coffee Table, End Table, and Sofa Table. Coffee Table Size: 48 x 30 19 In. (H). End Table Size: 24 In. (DIA). x 23 In. (H). Sofa Table Size: 48 x 18 x 30 In. (H). Oak Finish Occasional Tables With Drawers With Base Self Storage. Details: Coffee Table Size: 52In L x 28In W x 18In H, End Table Size: 28In L x 28In W x 22In H And Sofa Table Size: 52In L x 18In W x 31In H. Strong Construction. 3P Square Coffee Marble in Lay Set is available in Cherry and Oak Finish. Real Marble Top. Table: 48 In. (W). x 25 In. (D). 18 In. (H). End Table: 24 In. (W). x 22 In. (D). x 21 In. (H). Solid Wood Coffee Table With Drawers. Dimensions: 50L. X 28W. X 17-1/2H.. Also Available (Not Included In The Price) End Table, Size: 26L. X 24W. X 21H. ; And Sofa Table, Size: 49L. X 17W. X 28-1/2H.. Easy To Assemble. Brown Finish Coffee Table With Tile Insert. Beautiful And Unique Design. The Perfect Choice For Your Living Room. Also Available (Not Included In The Price) Matching End Table, Size: 28L. x 26W. x 24H., And Sofa Table, Size: 52L. x 18W. x 29H.. Easy To Assemble. Brown Finish Coffee Table With Extendable Table Top (See Larger Image). Beautiful And Unique Design. The Perfect Choice For Your Living Room. Size: 50L. x 30W. x 19H.. Also Available (Not Included In The Price) Matching End Table, Size: 28L. x 28W. x 24H., And Sofa Table, Size: 50L. x 20W. x 30H.. Easy To Assemble. A Parquet Inlay Top, Storage Drawers And Wooden Shelf And Side Grill. Coffee Table Size: 50in L x 32In W x 20In H. Also Available (Not Included In The Price) End Table, Size: 24In L x 24In W x 24In H And Sofa Table, Size: 50In L x 18In W x 29In H. Easy To Assemble. Walnut Finish Coffee Table. Beautiful Design. The Perfect Choice For Your Living Room. Size: 52L. x 32W. x 19H.. Also Available (Not Included In The Price) Matching Sofa Table, Size: 52L. x 20W. 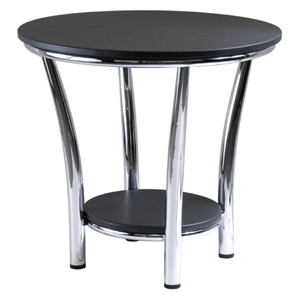 x 29H., And End Table, Size: 26L. x 26W. x 23H.. Easy To Assemble. 3-Pc Set Atenas Tables. Coffee Table And Two End Tables In Mahogany Finish. Solid Top, Magazine Rack, Casters For Easy Mobiity, Tubes Have A Modern Metalic Finish, Extra Shelves To Keep Books And Magazines. Details: Coffee Table: 43-5/16W. X 18-7/8H. X 20D., End Table: 23-5/8W. X 22-13/16H. X 20D.. This Antique White Coffee Table is available in Rectangular, or Square. Each table sold seprately. Set may include Coffee Table, End Table and Sofa Table. Rectangular Table Size: 54 x 34 x 19 In. (H). Square Table Size: 40 x 40 x 19 In. (H). End Table Size: 25 x 28 x 25 In. (H). Sofa Table Size: 56 x 20 x 34 In. (H). Lift Top Coffee Table With Storage Drawers And Brushed Metal Hardware. Coffee Table Size: 48in L x 28In W x 20In H. Also Available (Not Included In The Price) End Table, Size: 27In L x 24In W x 24In H And Sofa Table, Size: 48In L x 20In W x 29In H. Easy To Assemble. 3-Piece Cocktail Set. Beautiful Design With Genuine Marble Top. Details: Coffee Table: 48 x 32 x 20H., End Table: 24 x 24 x 23H.. Strong Construction. Easy To Assemble. Cherry Finish Parquet Design Coffee Table With Ball Feet. Dimensions: 36 Dia. 17-1/2 H.. Also Available (Not Included In The Price) End Table, Size: 24-3/4Dia. 21-1/2H., And Sofa Table, Size: 46 L. X 18 W. X 28-1/4 H.. Easy To Assemble. 2-Piece Coffee/End Table Set. Available in Golden Oak or Cherry Finish. Coffee Table Size, 48x24x15H. End Table Size, 24x24x20H. Strong Construction. Easy To Assemble. IEM4512_.